Since last year Agri Information Partners celebrated his 15th anniversary, each employee got a Tello Drone for his or her contribution to our success. Because at Agri Information Partners we are always seeking to explore new technologies, we organized a drone challenge to explore new applications with such technologies. 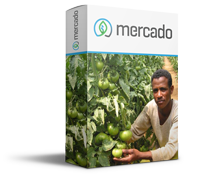 Our goal: creating possibilities with standard consumer hardware in combination with our products E-Brida and Mercado. Last month, we have been working for a day with a team of five employees on connection the dots to fulfill our goal. It was an inspiring and great day with a lot of fun, team interactions and of top of that: nice results. 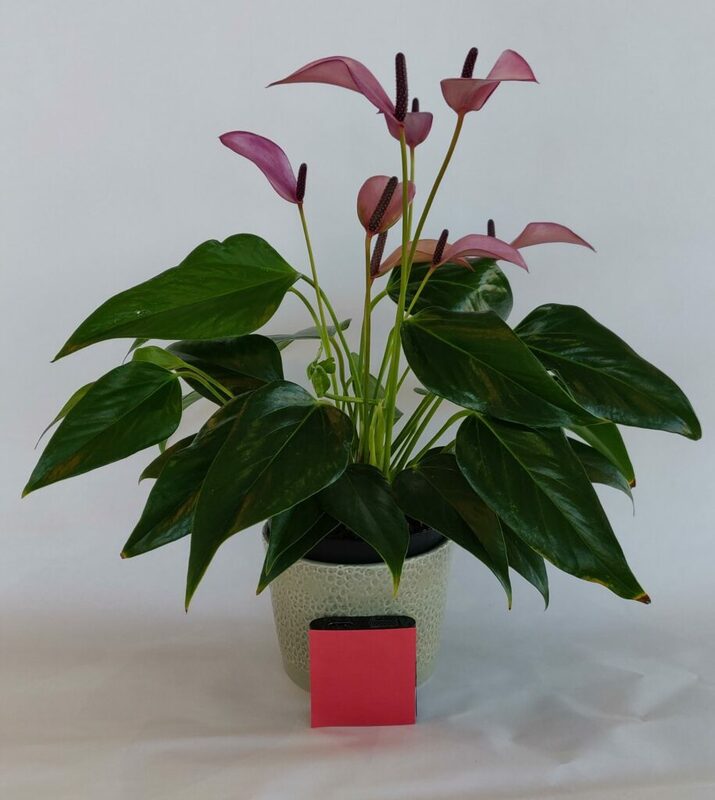 Our set-up consisted of an Anthurium plant in a pot with a red square on it. The surface of the red square was known. That area was used by the image analysis tool for scaling of the leaf area of the plant. We were able to let the Tello drone fly automatically and to make images on the fly. These images were stored and load into an image analysis tool. 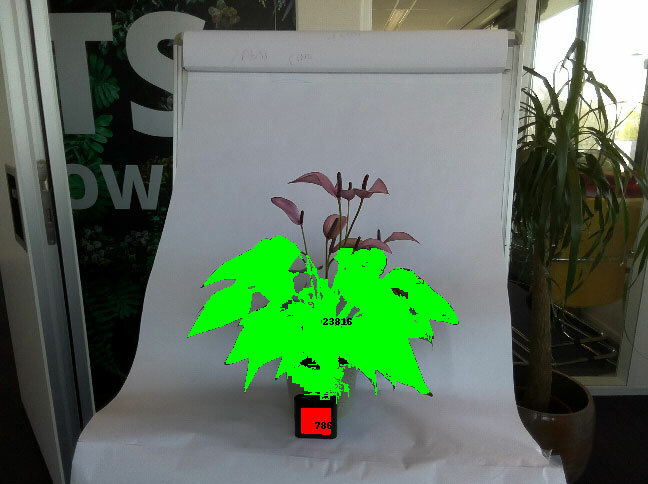 The outcome of the tool was a picture with a green area for leaf surface and a leaf area surface in pixels. 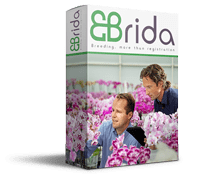 These results can be sent directly to E-Brida so a breeder can access the image and the information directly after the flight in his or her trial within E-Brida. This challenge is a great example of inspirational and motivational team effort. In this challenge we proved we can do a first image analysis with standard consumer hardware and some intelligent Agri Information Partners software. Are you triggered or do you have any questions? Please let us know!